A Little Bit About Mission U.S.
Mission US is a multimedia project featuring free interactive adventure games set in different eras of U.S. history. 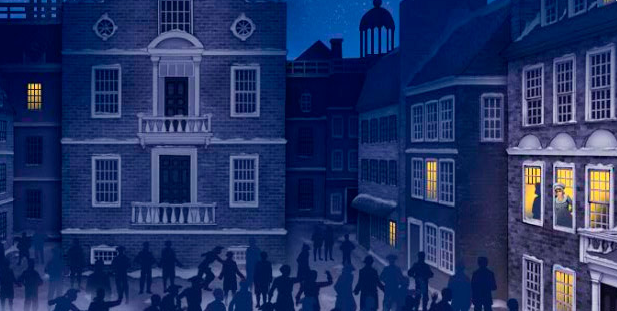 The first game, Mission 1: "For Crown or Colony?," puts the player in the shoes of Nat Wheeler, a 14-year-old printer's apprentice in 1770 Boston. 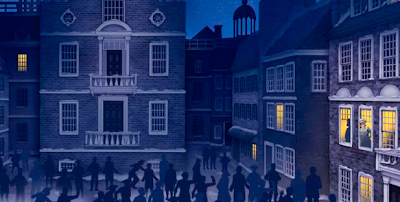 As Nat navigates the city and completes tasks, he encounters a spectrum of people living and working there when tensions mount before the Boston Massacre. Ultimately, the player determines Nat's fate by deciding where his loyalties lie. We place a huge value on education in our home, so I was thrilled to learn of Mission US. ; a new online gaming experience that takes the player on a journey through Historical time periods and events in United States History. 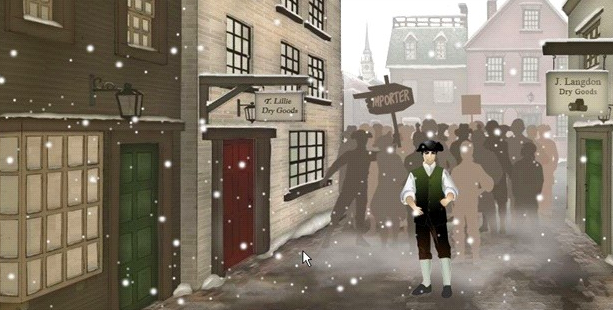 Though this gaming series is geared towards older children, B loves History and was eager to check it out with me . There are some elements, that are recognizably only processed adequately by older children (as suggested), I would recommend introducing it to younger age groups as well~ it's never too early to learn about the History of our country; the animation and interactive elements definitely captivated B's attention! I can only say that I wish Mission US was around when I was in school! This gaming series takes a subject that is pivotal in the education of our children and steps outside of the box; teaching them in a fun, interactive, and more relatable way for younger generations. Mission US is entirely free. Anyone can register to play Mission US at no cost! Mission 2, “Flight to Freedom” (working title), which focuses on resistance to slavery, will launch in spring of 2011. Other missions, as well as a broadcast special, are planned for release in 2012.